Enjoy price locked internet service for life with CenturyLink internet. Have you been looking for no contact internet that doesn’t raise the rates every year? If yes, look no further than CenturyLink! With CenturyLink internet, there are no contracts required and you’ll pay the same price each month for as long as you have CenturyLink internet. It’s that simple! Plus with CenturyLink internet, you can enjoy speeds up to 1 gig! There’s an assortment of plans to fit any family’s needs. Whether you’re searching for an internet plan that’s friendly or one with fast speeds, CenturyLink has it. To switch to CenturyLink Price For Life internet service, call 1-844-811-1906 today! No Yearly Or Surprise Rate Increases! Now is a great time to switch to CenturyLink internet! CenturyLink internet subscribers enjoy no contracts, lifetime price guarantee, easy installation via free self-installation kit, CenturyLink @Ease Basic antivirus and 24/7 customer support. All CenturyLink internet plans are fast, reliable and affordable! Call 1-844-811-1906 to switch to CenturyLink internet today! When is the last time you’ve upgraded your router? Even if your router is a part of a modem router combination from CenturyLink – you don’t have to use the router portion of your modem router combo if you don’t want to. In fact, getting a standalone router often delivers faster speeds and has more advanced features to help you make the most of your Wi-Fi. 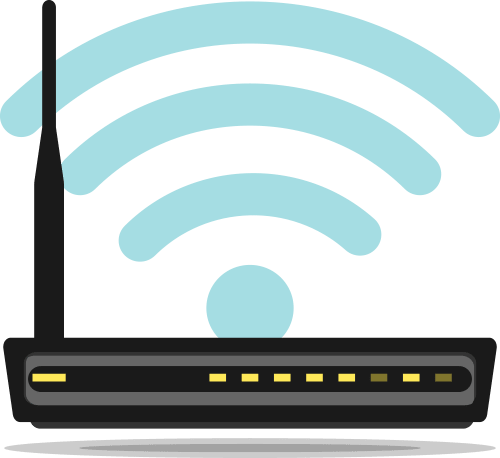 View our top router picks for 2019 that are compatible with all CenturyLink internet plans here. Tired of paying a lease fee every month for an outdated CenturyLink modem? Pick up the speed by purchasing your own modem! See our top modem picks for 2019 that are compatible with CenturyLink internet including Price For Life and 1 Gig internet plans here. All your questions about CenturyLink internet service are answered! See all our frequently asked questions regarding CenturyLink internet plans including CenturyLink Price For Life and 1 Gig plans here. Is CenturyLink internet right for you? Get all the details on CenturyLink internet service, including internet speeds, coverage, availability and technology. Read our full, in-depth review of everything you need to know about CenturyLink internet here. When you sign up for CenturyLink internet, your monthly bill will never increase and is guaranteed for as long as you have CenturyLink. There are no contracts, one year or two year price promotion periods like many other no contract internet providers. If your family is on a budget or you’re simply tired of yearly rate hikes, CenturyLink Price For Life internet may be right for your family. You don’t have to commit to a contract or unwanted bundling to subscribe to a CenturyLink Price For Life internet plan. Internet Price For Life As Long As You’re With CenturyLink! With CenturyLink internet service, there are internet only plans available! CenturyLink has both standalone DSL and fiber internet options available that do not require home phone service to subscribe to CenturyLink internet. Even though DSL internet uses a phone line, with standalone DSL internet, you don’t have to actually have a home phone to use it. CenturyLink internet only plans start at 12 Mbps for $45 per month. Call 1-844-811-1906 to see what CenturyLink internet only plans are available at your address today! No Home Phone Or TV Service Required For CenturyLink Internet. CenturyLink internet now has internet speeds up to 1 Gbps! Built on a fiber network, the CenturyLink 1 Gig internet plan has extra bandwidth and faster speeds than ever before! With these speeds you can enjoy lag free online gaming, freeze free video chatting, and back up all your devices to the cloud all at the same time. CenturyLink 1 gig internet is perfect for gamers, binge TV watchers, households with multiple users connecting all their devices at the same time. Fiber Internet Speeds Up To 1 Gbps! With More Bandwidth & Faster Speeds! When you subscribe to CenturyLink internet service, there are no contracts or term commitments required! By subscribing to contract free CenturyLink internet, there are no early termination fees or cancellation fees if you decide to switch to another internet provider at any time. You’re also not required to bundle with services you do not like or want just to get a better deal on CenturyLink internet. CenturyLink internet is always available without a home phone or TV subscription service. No Contracts Required To Subscribe To CenturyLink Internet Service. Switch Internet Providers At Any Time. 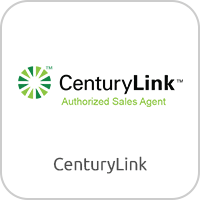 Get connected with one of the largest internet providers in the country, CenturyLink! CenturyLink DSL internet plans are the most popular and are available throughout all of CenturyLink’s coverage area. There are only two DSL internet plans to choose from with speeds up to 20 Mbps and 40 Mbps! These speeds are great for everyday use like browsing the internet, checking email, and streaming videos. Households with multiple devices streaming video or playing online video games will have a better experience with CenturyLink’s fiber internet plans. To see what CenturyLink internet plans are available at your home and which plan would be right for your family, please call 1-844-1906 today! DSL Internet Speeds Up To 40 Mbps! Available Every Where CenturyLink Is Available. Experience internet speeds up to 1 gig with CenturyLink fiber internet! CenturyLink fiber internet plans are available in thirteen cities throughout the country and CenturyLink is still expanding their fiber network. There are four plans to choose from; 20 Mbps, 80 Mbps, 100 Mbps and 1 Gig. For specific CenturyLink fiber internet availability and plans, please call 1-844-1906 today! Four Fiber Internet Plans To Choose From. CenturyLink internet is available in 39 states across the country with the highest coverage throughout Arizona, Colorado and Washington states. Meanwhile CenturyLink fiber internet is still expanding! CenturyLink fiber internet is currently available in Columbia MO, Jefferson City MO, Denver CO, Phoenix AZ, Las Vegas NV, Minneapolis MN, St. Paul MN, Omaha NE, Orlando FL, Portland OR, Salt Lake City UT, and Seattle WA. Even if fiber hasn’t been available at your home, it may be now or coming very soon! Call 1-844-811-1906 today to see what CenturyLink internet plans are available at your address. CenturyLink Internet Is Available In 39 States. Call For For Fiber Internet Availability By Address Today! centurylink	Overall rating:	4.8	out of 5 based on 13	reviews. *Depending on services you select, these CenturyLink surcharges apply: Internet/Broadband Cost Recovery Fee; Prism Local Broadcast Surcharge; Prism Sports Network Surcharge; Non-Telecom Services Surcharge; and additional surcharges. These are neither taxes nor required by law, but set by CenturyLink and may change. Additional taxes and fees will apply and appear on your monthly bill. For information about taxes, fees and surcharges, visit www.centurylink.com/feesandtaxes; rates subject to change. Service is not available everywhere. Limited time offer. CenturyLink Internet Basics Program is available to Oregon, Tennessee, or Washington State residential customers only who qualify based on meeting income level eligibility requirements, and/or are receiving benefits from a qualifying federal assistance program, and requires remaining eligible for the entire offer period. Qualifying customers may keep the service under the program for a maximum of 60 months. After 12 months, monthly rate increases to $14.95/mo. for 48 months. Standard monthly rates will apply after 60 months. If selected, a professional installation fee of up to $125 will apply; self installation is available at no charge. CenturyLink High Speed Internet service requires the use of a compatible modem or router. Customer may supply a compatible modem or lease a modem from CenturyLink ($10/mo. lease charge will be waived for the first 12 months of service; rate will apply starting in 13th month) or purchase a modem from CenturyLink (one-time fee of up to $150). Shipping and handling fees apply to purchased modems, but do not apply to leased modems. In all instances, a one-time High-Speed Internet activation fee applies. Depending on your location, promotional discounts may not apply to first partial month of service. Rate excludes taxes, fees and surcharges which are based on standard, not promotional, rate. If customer cancels one of the required bundled services during promotion, all promotional rates are void. Credit approval and deposit may be required. An early termination fee (up to $200 max. based on remaining number of months of service) will apply if service is cancelled before end of term. Changes to customer’s HSI service initiated by customer during the promotional period may void offer discount. Offer not available on certain other discounted service plans. Limit one offer per household. Additional restrictions may apply. CenturyLink may change, cancel, or substitute offers and services, or vary them by service area, at its sole discretion without notice. All products and services listed are governed by tariffs, terms of service, or terms and conditions posted at centurylink.com/terms. HSI: Customers must accept HSI Subscriber Agreement prior to using service. 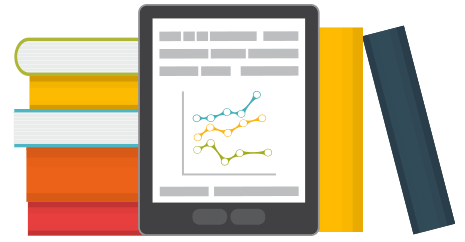 Listed internet speeds vary due to conditions outside of network control, including customer location, equipment, and access through a wireless connection, and are not guaranteed. See www.centurylink.com/internetpolicy for additional network performance information.